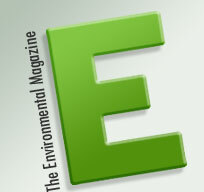 EMagazine.com has articles on green tech. In a recent issue, we learned that residents of Bellingham,Washington are now driving on the first certifiably green roads. Short sections of road are paved with material from 400 crushed toilets mixed with asphalt with 30 percent recycled content, including recycled concrete. No bathroom jokes, please.